Sergey Lipinets had a great deal of success as a junior welterweight and even won a world title belt. He hopes the same can be done at 147 pounds. Now campaigning as a welterweight, Lipinets believes he can face and defeat any of the elite fighters and win a world title belt in a second weight class. Lipinets will square off against former world titleholder Lamont Peterson in a compelling bout Sunday evening at the MGM National Harbor in Oxon Hill, Maryland. The 10-round bout will headline a ‘PBC on FS1’ telecast (8 p.m. ET/ 5 p.m. PT). In his last bout on Aug. 4, Lipinets (14-1, 10 knockouts) made his welterweight debut, defeating Erick Bone by majority decision over 10 rounds. The fight came almost five months after suffering his first loss as a pro to Mikey Garcia, a fight where he also lost his IBF junior welterweight title. 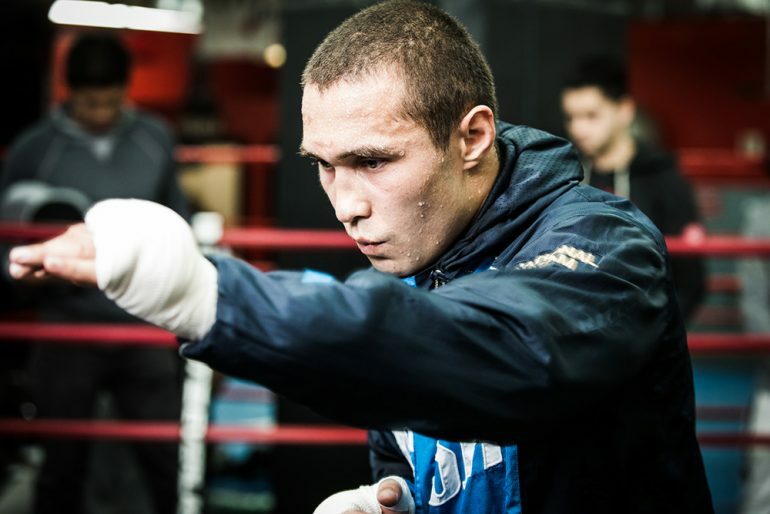 The 30-year-old Lipinets, who is originally from Kazakhstan and now resides in Beverly Hills, California, wants to immediately fight for a world title belt at 147 pounds. Standing in his way is Peterson (35-4-1, 17 KOs), who will be fighting near his hometown of Washington, D.C. It is a crossroads bout between Lipinets and Peterson, where a loss seriously derails any legitimate fight for the time being. Lipinets understands what is at play. Neither Lipinets or Peterson are ranked by The Ring at 147 pounds. Lipinets is ranked No. 8 as a junior welterweight by The Ring. Lipinets’ most notable victories have come against Leonardo ‘Lenny’ Zappavigna and Akihiro Konda, where he won the vacant IBF 140-pound title. The welterweight division is one of the deepest in boxing today, with three of the four world titleholders fight under the Premier Boxing Champions (PBC) banner. Lipinets also fights for PBC. Lipinets believes a victory over Peterson will get him ranked by a sanctioning body, positioning him to eventually challenge any of the world titleholders of the division. “This is a big fight. I have to get through Lamont to get to where I want to go. We’ll find out Sunday if he can stop me. I know that if I do what I have to do with Lamont, that will set me up (for victory).